Global demand for conservation finance significantly exceeds available supply – current estimates put the deficit at up to US$300 billion per year. There is an urgent need for new private sector investment approaches to improve efficiency and supplement traditional public and philanthropic funding. The accelerating trend for environmental and social impact investing, coupled with new regulations for biodiversity management obligations, are creating new opportunities for conservation finance. There is also a growing body of evidence that conservation can be commercially viable. Our track record is testament to this new reality. To demonstrate that conservation can become a rewarding investment sector, we work with both public and private sector conservation-driven organisations to research, design and incubate innovative financing mechanisms for raising and investing new capital for sustainable conservation projects. First conservation enterprise fund in Africa: 9 investments to date across 5 countries. Current assets under management (AUM) US $7.0m with plans to scale to US $75m+ by Q4 2019. First conservation enterprise fund in Europe: 21 investments to date across 6 countries. Current AUM €6.5 million. First recipient of financing (€6m) from the European Investment Bank’s (EIB) Natural Capital Financing Facility (NCFF). Appointed manager of first international outcomes-based financing facility targeting the conservation of a threatened species (the black rhino). For an overview of our wider portfolio of case studies under Innovative Finance please click here. We work with a variety of conservation-driven organisations to design, test and deliver new commercial funding instruments for conservation, many of which incorporate our pioneering use of Conservation Covenants alongside more mainstream investment structuring mechanisms. Umiliki Investments (pan-African): In partnership with African Wildlife Foundation, designed, capitalised - via issuance of two ‘Conservation Bonds’ - and now manage Umiliki Investments - the first-ever example of a fully commercial conservation enterprise investment fund in Africa, currently with US$ 7.4 million AUM across 9 investments in the tourism, agriculture and livestock sectors in 5 countries. Okavango Capital Partners (pan-African): Building on Umiliki, Conservation Capital has co-founded a new investment group that aims to launch its first African fund targeting US$75 million AUM in Q1 2019. OCP will combine a commercial private equity driven approach with an active natural capital and ecosystems focus. It will be managed by a team that has collectively invested US$ 1 billion over 60 combined years of African operating experience. Rhino Impact Investment (Pan-African): Appointed by United for Wildlife - a group of international conservation NGOs - together with investment banks and law firms, on behalf of the UK’s Royal Foundation of the Duke and Duchess of Cambridge and Duke of Sussex - to design and launch a scaled, multi-country/site outcomes-based financing model. It is the first ever investment instrument for species conservation targeting a financial return. Rewilding Europe Capital (pan-Europe): In partnership with Rewilding Europe, designed, capitalised (with seed investors including the European Investment Bank, Dutch Postcode Lottery and a family foundation) and now support the management of Rewilding Europe Capital, the first-ever example of a commercial, for-profit conservation enterprise investment fund in Europe. It currently operates with €6.5 million AUM and has completed 21 investments across 7 countries and 5 sectors. Financing Biodiversity Offsets (Global): In partnership with World Conservation Society (WCS) and Conservation International (CI), we researched and published a White Paper identifying and evaluating the potential of new mechanisms for facilitating and accelerating the financing of biodiversity offsets through institutional investors, private corporations and public funds. Other significant projects include: European Rewilding Bank together with Rewilding Europe (Europe); Peatland Payment for Ecosystem Services together with Snowchange Cooperative (Finland); Uganda Biodiversity Investment Fund together with Wildlife Conservation Society (Uganda); Sustainable Oceans Financing Facility with Blue Finance, Althelia and UN Environment. We mobilise and structure grant, debt and equity financing for high-potential conservation enterprise developments, mergers and acquisitions. Determining the optimum financing structures for conservation business initiatives is highly complex and sensitive. Our focus is to ensure that they are not only commercially successful, but also deliver meaningful conservation and community benefits. Sabinyo Silverback Lodge (Rwanda): Structured US $1.2 million of blended development capital for the first wholly community owned lodge in Rwanda. It is now both a leading tourism destination and key player in the mountain gorilla conservation movement. Our work secured a $250,000 debt-financing package – probably the first example of commercial debt ever being taken out by a local community for conservation enterprise development. Rungwe Avocado Company (Tanzania): Arranged US$ 1.1 million of senior debt and equity finance for this innovative agricultural start-up - a clear example of how investment in sustainable agriculture can both improve livelihoods and increase conservation incentives in high value natural landscapes. RAC now works with more than 3,000 local community outgrowers exporting 3,000 tons per annum. Conservation Covenant compliance has increased from 35% to 95% since the initial investment. We design and implement corporate and related capital structures for public, private or community conservation areas or projects that address the specialised contexts in which they need to be managed and financed. These include many examples of innovative hybrid structures where we combine both for-profit and not-for-profit entities within a single corporate group. 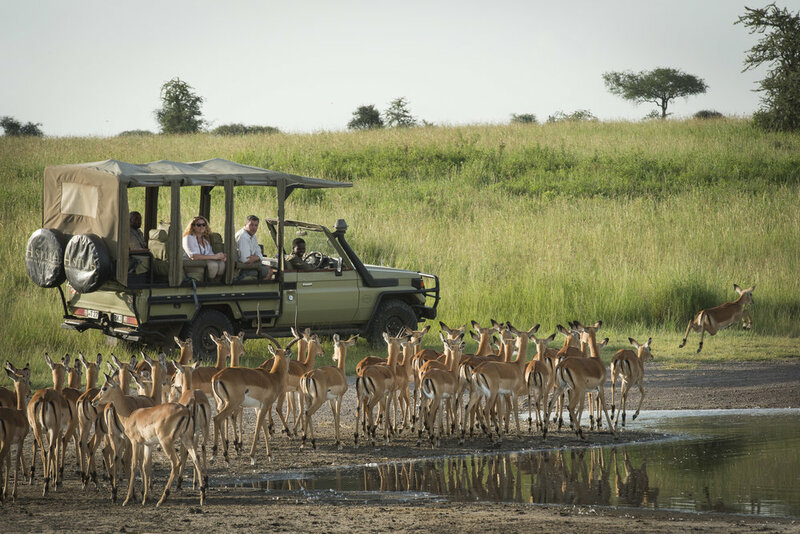 Loisaba Conservancy (Kenya): Designed and secured US$ 1.2 million of equity and debt funding for the founder corporate and capital structure for the 61,000-acre Loisaba conservancy. Over an 18-year period the conservancy did not call upon any donations and was sold to the world’s largest conservation organisation, The Nature Conservancy, in 2015. Ol Pejeta Conservancy (Kenya): Designed the corporate and capital structure, including securing US$ 21 million of debt and equity, for the now world-famous, IUCN recognised, 90,000-acre Ol Pejeta Conservancy. This was the largest funding transaction in Kenya’s private sector conservation history. OPC now generates collective annual commercial revenues of c. US$ 12 million across four industry sectors, welcomes 85,000 visitors a year, and serves as home to the largest black rhino population in East Africa. Other notable examples include Borana Conservancy (Kenya); Faia Brava Reserve (Portugal). Natural capital assets, and the ecosystem services they provide, need to be measured and valued to recognise, optimise and unlock their true worth. We are partnering with Mopane Capital to develop this specialist emerging market. Karingani Game Reserve (Mozambique): Completed a natural capital valuation to support equity divestment to new international investors. This secured a price uplift of 2.5 times the original invested capital. The work was conducted to international valuation standards and passed an investment grade diligence review with PwC. Catiland, Panama: Conducted a scoping appraisal to provide a natural capital valuation of a rare wilderness land portfolio on the pacific coast of Panama. The valuation will be used to inform current shareholders on where to maximise value in preparation for a planned sale, and also guide and defend the proposed equity stake price to the new development investors.